The Zimbabwean, a newspaper published in South Africa and the UK by a network of Zimbabwe journalists, has launched a new campaign in the lead up to the 2011 elections. 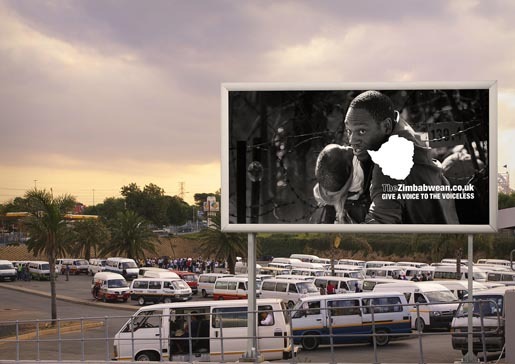 Despite arrest warrants, attacks on their vehicles and their vendors, the Zimbabwean has succeeded in bringing the real news about Zimbabwe to its people, as well as over a million Zimbabwean refugees in South Africa and abroad. 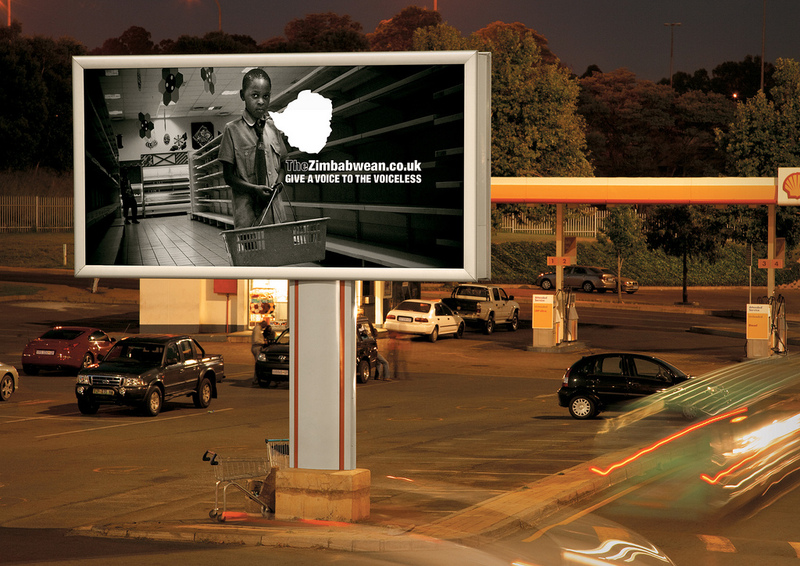 Late in 2010 reports emerged from Harare that the police had raided an exhibition as it opened. 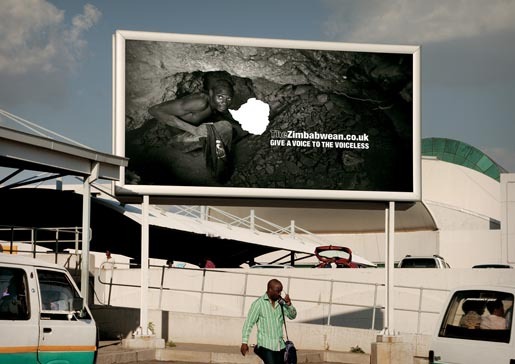 TBWA and The Zimbabwean realised that anything the regime sought to silence was exactly what needed to be shown. An appeal was sent to photojournalists who had worked in Zimbabwe over the past 2 years to donate images. 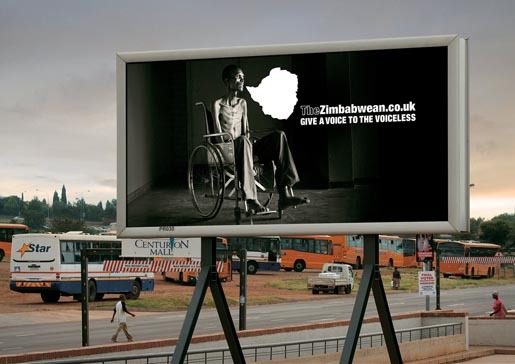 As these visual accounts of the brutality inflicted upon ordinary Zimbabweans arrived at at TBWA, all the creative team added was the iconic map of Zimbabwe, positioned to appear as an empty speech bubble, demonstrating The Zimbabwean’s promise: to give a Voice to the Voiceless. Zimbabwean, but they can also purchase subscriptions on behalf of reading groups, schools, training colleges and libraries within the country itself. 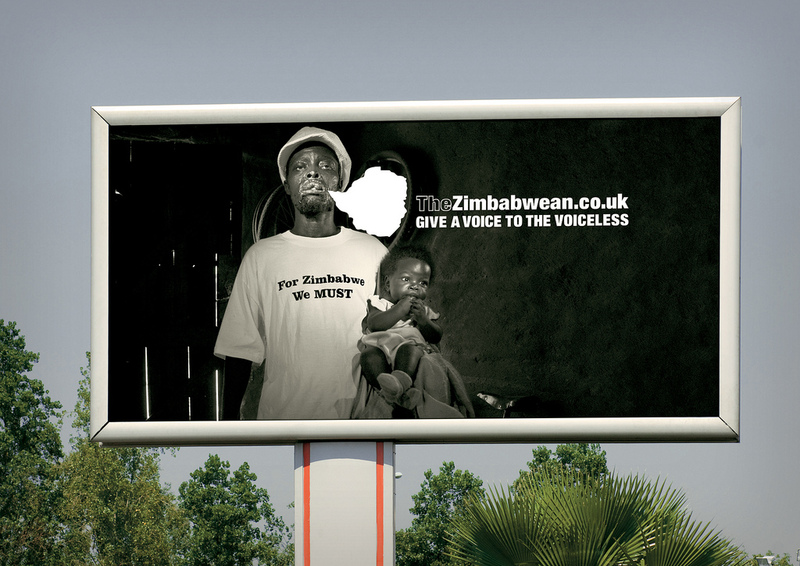 The Zimbabwean Voiceless website also co-ordinates live information across several social-media channels, including Facebook, Twitter andGoogle Maps, with a blog to be launched later in the week that will include live correspondents from Harare. As the ZANU regime starts campaigning to steal another election this year, The Zimbabwean will stop at nothing to ensure that Zimbabweans across the world are empowered with the information their government seeks to silence. 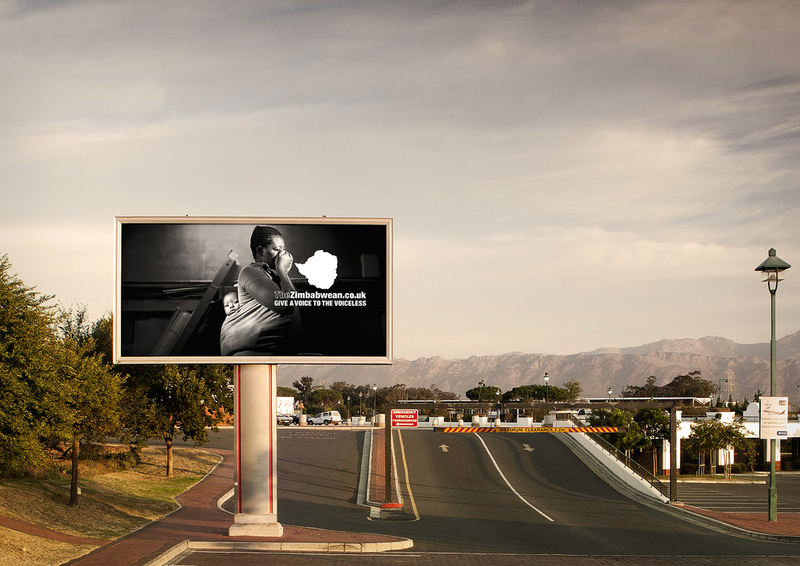 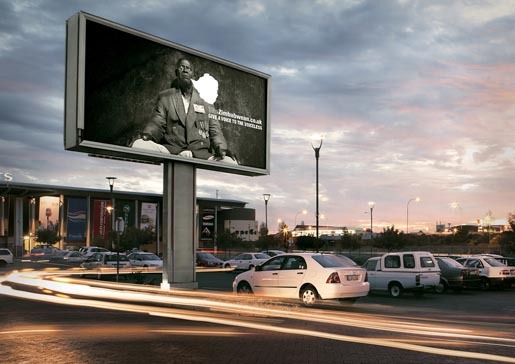 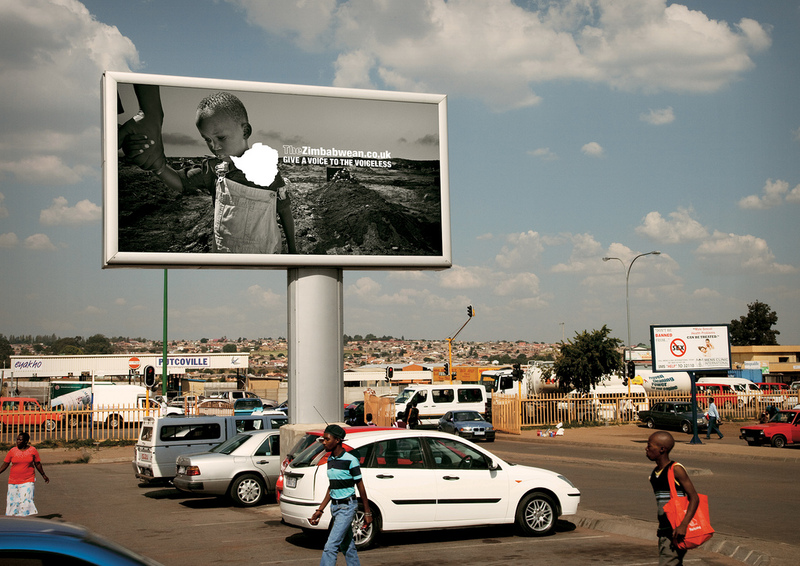 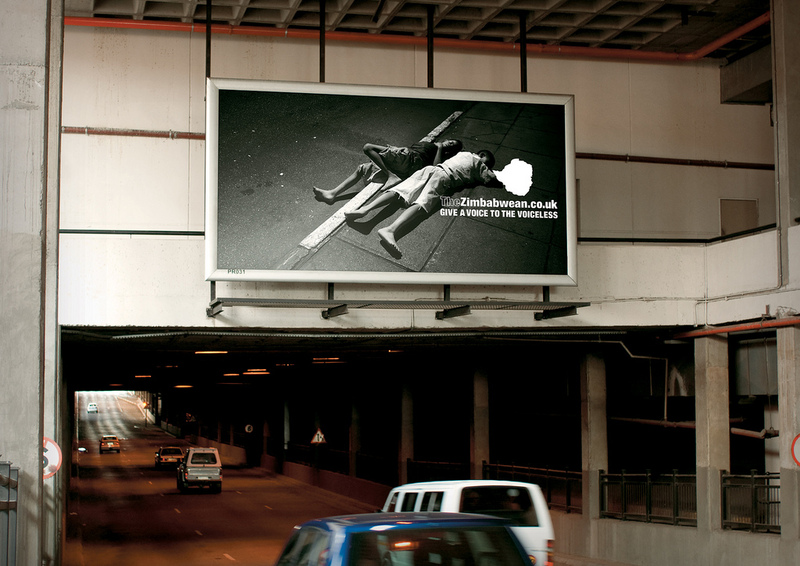 The Voiceless campaign was developed at TBWA Hunt Lascaris, Johannesburg, by chief creative officer John Hunt, executive creative director Damon Stapleton, art director Shelley Smoler, copywriter Raphael Basckin, photojournalists Dirk-Jan Visser, Robin Hammond, James Oatway, web developer Simon Gill, account director Bridget Langley, operations director Carol Soames, account director Kershnee Pillay:, production manager Craig Walker, project photographers Christof van der Walt, Michael Grobler, Lucas Mathebula, Tebogo Suping, editor Tongai Furusa, art buyer Simone Allem and project manager Leanne Ferris-Woods.